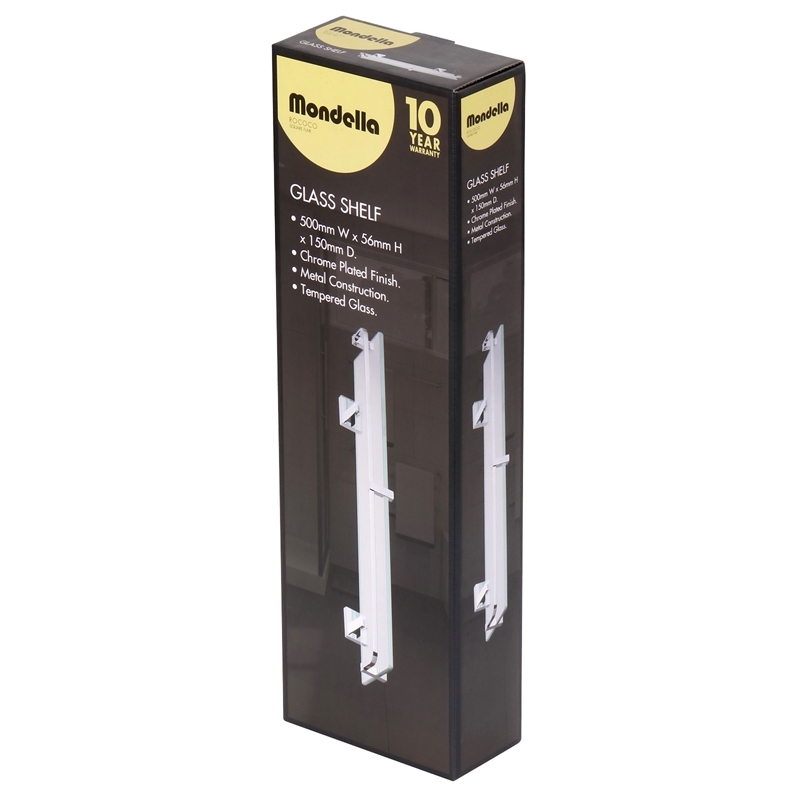 This stylish range of modern bathroom accessories will bring a luxurious, European feel to any bathroom. 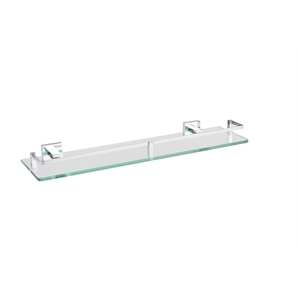 Designed with sleek, contemporary lines, easy installation and backed by a superb warranty, this functional Rococo glass shelf will add the finishing touch to your bathroom. The shelf is perfect for mounting in the shower to store all your bathroom accessories, and features a chrome plated bar to hold items in place.